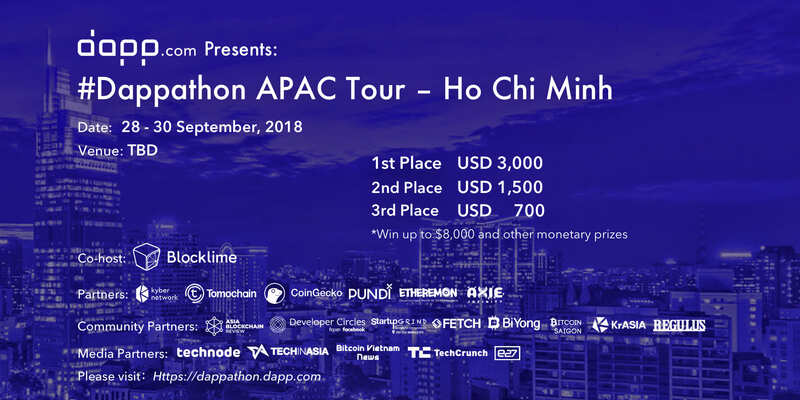 Welcome to Dapp.com’s #Dappathon Tour – Ho Chi Minh! Dappathon is the first hackathon for Decentralized Applications (Dapps). It is the ultimate event for learning, networking with industry and technical experts and have lots of fun in building Dapps along with mentors. You will gain the tools and knowledge to bring your innovative decentralized tech ideas to the real world. First Prize: USD 3,000 !